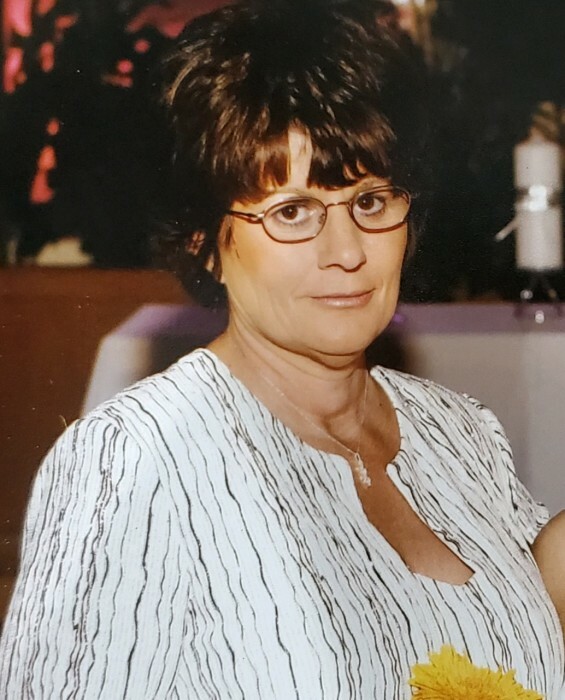 Debra Ann Miller, 65, of Reinbeck, passed away on March 28, 2019, at Parker Place Retirement Community in Parkersburg while under the care of Compassus Hospice due to alzheimers/dementia. A visitation will be held on Tuesday, April 2, from 4-7 PM at French-Hand Chapel in Reinbeck. A funeral service will be held on Wednesday, April 3, at 10:30 AM at Union Congregational United Church of Christ in Reinbeck with Reverend Joel Love officiating. Visitation will resume at the church from the evening prior at 9:30 AM. Burial will follow the service at Reinbeck City Cemetery in Reinbeck. Memorials may be directed to the family to be donated to a cause of their choosing at a later date. Abels Funeral And Cremation Service French-Hand Chapel is taking care of Deb and her family. Online condolences may be made at www.abelsfuneralhomes.com. Debra Ann Miller was born on December 3, 1953, in Grundy Center, IA, to her mother Ruth Ann Witt. Deb attended Reinbeck High School. She was united in marriage to Rodney Ray Miller on February 14, 1982, at the First Baptist Church in Reinbeck. Deb worked in and around Reinbeck at many of the culinary establishments, with one of those being the Corner Café where she worked for 25 years. She loved spending her time with others and was known for her kind and caring nature. She was proud of “the small things” and could be found at her children’s sporting events and cheering on their many achievements. Deb was also proud of her five grandchildren and cherished the time she could spend with them. Deb was an avid knitter and liked playing Bingo. Deb's time was best spent being around others and she loved her job and serving her many guests and clients that would come to dine. She had a big heart and will be missed dearly by all those that knew her. Deb is survived by her husband Rodney of Reinbeck; mother Ruth Ann Dilley of San Jose, CA; daughters Stacey Lynn Cochran of Altoona and Shelly (Mikal) Luiken of Grundy Center; grandchildren Emma and Ella Cochran, Paige Strohbehn, Matthew and Mikala Luiken; brothers Larry (Becca) Dilley and Terry (Candace) Dilley. She was preceded in death by her Grandparents Fred and Francis Witt, son Brian, stepfather Frank Dilley, father-in-law Merle Miller, and sisters-in-law Sharon Miller and Emily Miller.